Mold is a kind of fungus and it is everywhere in the world around us. According to the Centers for Disease Control and Prevention, there are probably more than 300,000 different types of mold. While most types of mold are usually found outdoors, there are quite a few that can also be found in the home. All types of mold can be harmful to your health and can also cause damage to your home, especially in large amounts. Follow this link to learn more about mold-related health problems. Follow this link if you’d like to read more about how mold can damage your home. We’ll tell you about some of the molds most commonly found in homes. Note that there may be several types of mold in your home at the same time. Aspergillus is one of the most common types of mold found in homes. It is also one of the most likely to cause health problems. In fact, aspergillus-related health problems are so common there is a medical term for them – aspergillosis. 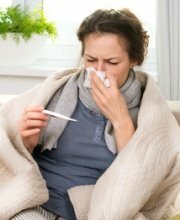 In people with healthy immune systems, aspergillosis usually causes mild to moderate symptoms, including sinus problems, ear infections and eye infections. Though not serious, these infections can take a long time to clear up even with treatment. In people with less healthy immune systems, aspergillosis can be much more serious and even life-threatening, causing infection in major organs such as the lungs, heart and kidneys. Aspergillus is often found in home heating, ventilation and air conditioning systems, where it is easily spread throughout the entire house as soon as the heat or air conditioning is turned on. Removing mold from HVAC systems can be tricky and the Environmental Protection Agency (EPA) recommends calling in a professional to make sure the job is done correctly. This black or dark green mold is often found in areas that remain rather damp, like shower walls, the grout around bathtubs, or around windows where there is a lot of condensation. It may also be found on carpet or wallpaper that has been damp for a while. Cladosporium can be removed from non-porous surfaces like shower walls or window glass, with proper cleaning techniques and a good fungicide, but materials like wallpaper and carpet cannot be adequately cleaned and must be removed and replaced instead. Many people are not affected by exposure to small amounts of cladosporium, though some are allergic. Allergic reactions often include respiratory symptoms like a runny nose, sneezing, sinus congestion, and itchy, watery eyes, as well as an itchy rash. Exposure to large amounts of cladosporium can cause more serious health problems, especially in those with weakened immune systems, including respiratory infections, ear infections, eye infections, and other types of infections. Penicillium is the type of mold the antibiotic penicillin is made from. While penicillin has health benefits, exposure to the mold itself in the home can be harmful to your health. Some people are allergic to it and it can cause chronic sinus infections and other respiratory problems. Penicillium is blue or bluish-green in color and is often found in things like carpet, insulation and other fabrics, such as old mattresses or sofas. 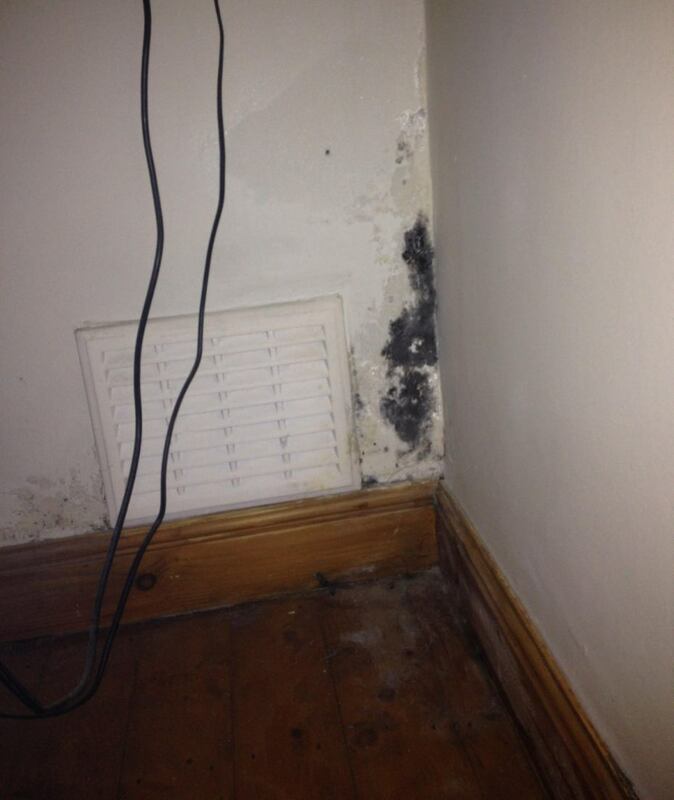 It is one of the most common types of mold and it spreads rapidly from place to place. Stachybotrys chartarum is often referred to as black mold due its slimy black or greenish-black appearance. 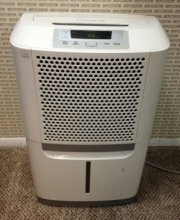 It is sometimes referred to as toxic mold, though that is a bit of a misnomer. The mold itself is not toxic or poisonous, although it produces mycotoxins, chemical substances that are harmful or toxic. Stachybotrys chartarum is known to cause a wide variety of health problems, ranging from relatively minor things like coughing and sneezing to more serious and even potentially life-threatening things like pneumonia and bleeding in the lungs. Infants, elderly people, those with pre-existing respiratory disorders such as asthma, and those with weakened immune systems are most susceptible to health problems related to stachybotrys chartarum, but even healthy young adults can be affected. Unlike most types of mold that need lots of moisture, alternaria thrives even with minimal moisture. It is often found under sinks, in showers, and elsewhere in bathrooms. It’s not limited to bathrooms, though. You might find it elsewhere. Some people are allergic to alternaria and it may also cause asthma or the development of asthma-like symptoms in people without a previous history of the disease. Immunosuppressed individuals, such as those with HIV and those undergoing chemotherapy, are at the greatest risk for health problems related to alternaria, although others can also be affected. Sometimes referred to as house-eating mold, serpula lacrymans is typically found on wooden surfaces, including walls, floors and furniture. It literally eats away at the wood until it is destroyed. 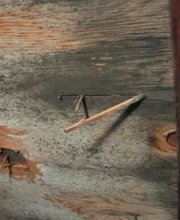 It can completely destroy a wooden home if left unchecked. Serpula lacrymans can cause a variety of respiratory symptoms, including sneezing, sore throats and difficulty breathing. How Do You Know What Type of Mold Is in Your Home? It’s not possible to determine what kind of mold is growing in your home just by looking at it. 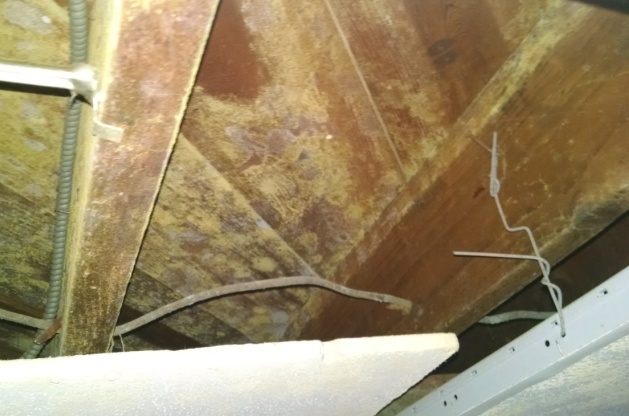 We can tell you what color certain types of mold are and where they are most likely to grow, but there are many types of mold that look the same or very similar and that grow in the same places. The only way to know what kind of mold you’re dealing with is to test it. You can purchase home test kits that may tell you what kind of mold is growing in your home, but these can be expensive, usually only test for a few of the most common types of mold (when there are at least a few hundred types that might be found in your home), and aren’t always very accurate. If you want to know what type or types of mold you’re dealing with, we recommend calling in a certified mold tester. To find experienced, skilled mold testers in your area, just follow the link. In addition these mold specialists will be able to guide you through the removal process from start to finish. Mildew vs Mold - How to tell the difference, health concerns from exposure, testing, removal.